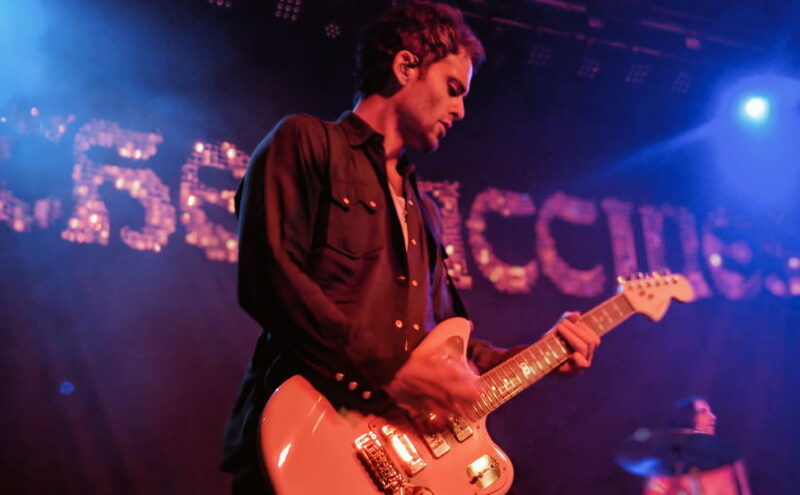 He may not be the frontman, but Freddie Cowan was definitely the star of the show. On a rainy Wednesday in Minneapolis, I waited outside of Fine Line Music Cafe. I was the first in line to see one of my favorite bands, The Vaccines, whom I hadn’t seen since they performed at the Triple Rock Social Club in August 2015. I knew that buckling down in my winter coat for three hours in the rain would be worth it. And it was, though I wish I could have skipped the opener. 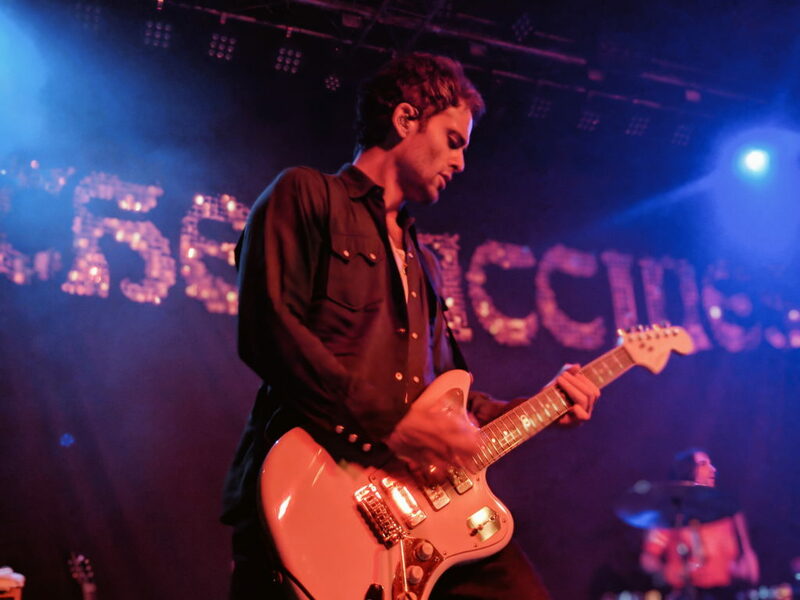 Accompanying The Vaccines on the U.S. leg of the tour for their fifth studio album “Combat Sports,” was indie band Jesse Jo Stark. While I can always appreciate a band led by a woman, they were sadly a mock Lana del Rey, just a little more punk and a lot sleepier. In fact, The Vaccines’ walk-out song, “Dancing Queen,” did a better job of warming up the crowd. The room became electric, and you could feel the buzz in the air when the English indie rock band took to their instruments and opened with high-pace “Nightclub.” The energy didn’t stop there, in fact, it didn’t stop at all. With a setlist mixed with old hits and recent releases, the die-hard fans in the room knew all the words and sang along as frontman Justin Young strutted around the stage. Before introducing a new song that has yet to be released, Young made a comment about how the Fine Line was “a bit bigger than the Triple Rock.” Which if you have ever had the chance to visit the Triple Rock before they closed, you would know that he was right. The Triple Rock had a stage a third of the size of the one at Fine Line, and it came up to your knees if you were standing at the front. This was something I admired about the place. This new soon-to-be hit didn’t stray from their usual high-energy surfer rock — it fit in perfectly with their style, which pleased the crowd. The Vaccines ended their main act with an oldie but a goodie from their first record “What Did You Expect from The Vaccines?” The slow burn opening of “Family Friend” was instantly recognized. After the band exited the stage before the encore, the energy in the room was palpable and the fans were left waiting for more. We didn’t have to wait long before they returned to the stage to play three more songs, ending the night with “All in White” from their first album. The night ended all too quickly, but it’s one I’ll remember until the band returns to Minneapolis in (probably) another three years.